Day 18: Week 2 Living in Thailand do you need to learn Thai. Internet service in Thailand costs,western cable and phone plans, along with the daily expenses. Even though I have been happily plodding along, staying within the budget of $400 a month. Today I realized that I was running low on some basics, and even though I kept it to a minimum, today�s shop may see me going twenty dollars or so over budget for the month. Which is ok: as this site / exercise is designed to give an honest peek into what living in Thailand is like with $400 a month and not about pinching a penny or two, too finish under $400 for the month. Going to school in Thailand and learning Thai. Living in Thailand without knowing a single word of Thai is possible; depending on the area that you choose to live in will dictate just how much Thai you will need to learn. 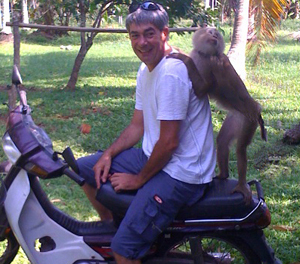 Living in Phuket is with out doubt the easiest of places to stay without knowing a word of Thai; around 10,000 farangs live on the island with most speaking very little Thai. In other parts of Thailand you can get by with some simple basic phrases, hello, thank you, and numbers, Chiang Mai springs to mind as one of these places. One of my favorite phrases is "a little Thai goes a long way" once you get out of Phuket and start exploring the real Thailand. 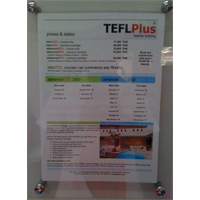 Thai language skills will enhance your experience 10 fold. On arriving in Phuket I already knew that I wanted to learn some basics and quickly found a school in Patong Phuket Language School, offering a course consisting of 5 half days over two weeks with a primary focus on language structure. 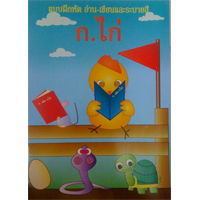 Thai is a tonal language and considered to be very difficult for westerners to learn. 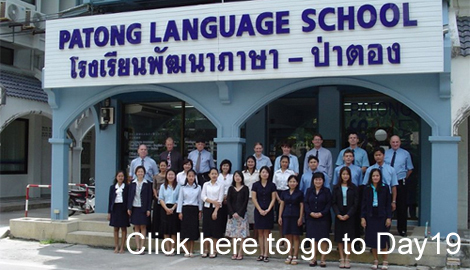 The beginner�s course at Patong language school will help you get the basics very quickly. I took the course 3 times because it covers all the basics. Even though the course is spread over 2 weeks after two days I was at saturation point and little was sticking, going back a second time enabled me to get more of days 3-4 and the last time strengthened the earlier days and allowed me to focus on the last few things. Continue Reading Day 19: Internet service, cable and phone service.